70801 emerges from the fog at Chippenham on 10 September 2014 with the 6M50 07:55 Westbury to Bescot engineers train. Naturally the journey along the M4 to Chippenham was in sunshine, but unfortunately the sun was a lot more reluctant to burn off the fog than the Met Office had suggested. 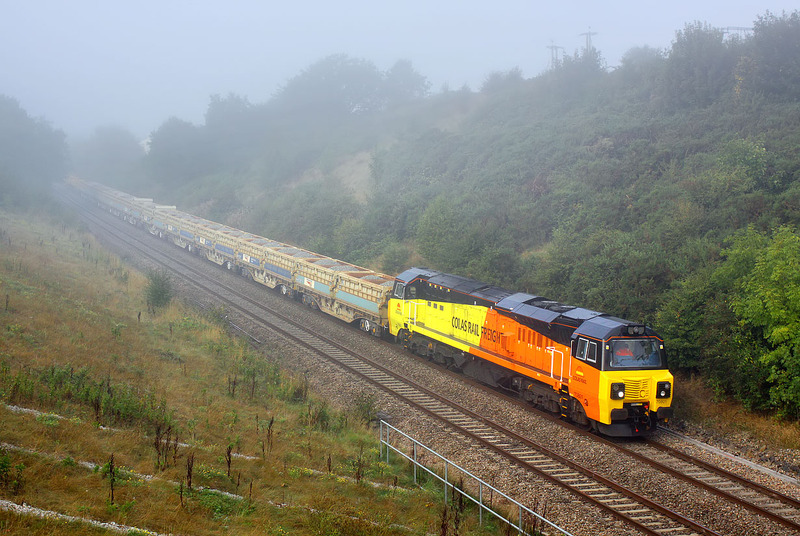 At least the bright Colas livery shows up well in these 'atmospheric' conditions!